Tara Sabre Collier is with EY Dubai, where she manages strategic advisory services for government agencies and family businesses, regarding investment decisions, growth strategies and private sector development. 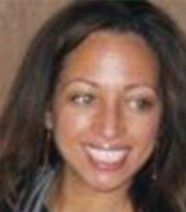 Ms. Collier possesses nearly a decade of private sector development experience in emerging markets. She has provided business development strategy, analysis and training to NGOs, multilaterals and private companies across Africa, the Middle East and the Americas. She earned her MBA at Oxford University, where she was a Skoll Scholar with Oxford University’s Skoll Centre for Social Entrepreneurship.